Thousands of transactions ranging from $10M to $6B in the RCP team history. Our team is led by individuals that have been brokers, advisors, consultants, investors, fund partners, acquirers and sellers of businesses to many in the industry. All of that expertise is evident when RCP is consulted. Whether it is due diligence, risk analysis and aversion, or fund raising ideas, RCP is the right partner for your firm. Our comprehensive approach includes protecting the fund and its partners, and extends to each and every portfolio company, regardless of size or industry. Our goals are aligned with the client’s in protecting the fund’s assets. 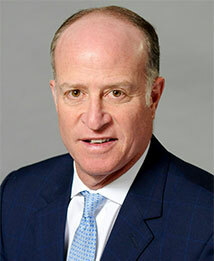 Jim Myer is an Executive Managing Director of Risk Consulting Partners’ St. Louis office, and leads the firm’s Private Equity Risk Consulting practice. Jim has more than twenty five years in the insurance industry with significant experience in the Private Equity space, as well as a variety of other industry sectors. 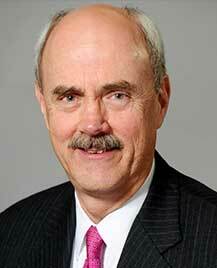 Prior to joining RCP, Jim was Vice President and Senior Sales Executive at Wells Fargo Insurance Services. Previously, Jim spent fifteen years helping Private Equity firms as Senior Director of Aon’s Mergers & Acquisitions Group, conducting business nationwide. 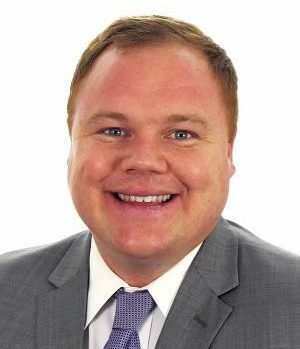 He also started a St. Louis office and was Managing Director for Krauter & Company, a national brokerage firm specializing in risk management and insurance needs of Private Equity firms. Jim started his insurance career with Corroon & Black (subsequently Willis) in 1986. Jim is a longtime board member and past President of the Gateway Chapter of the Cystic Fibrosis Foundation. He is involved in a variety of charitable boards and activities in St. Louis. Jim received his Bachelor of Arts with Honors from the University of Colorado. Nick Koenemann is a Vice President at Risk Consulting Partners’. Nick has more than ten years in the insurance industry with extensive experience in the Private Equity space, as well as a variety of other industry sectors. In his role, Nick collaborates with his clients/prospective clients to craft an innovative risk management program and/or employee benefit programs that gives them a clear, competitive advantage in their market space. In doing so establishing a strong connection between their risk management program and balance sheet for protection and reduction in cost of capital. Prior to joining Risk Consulting Partners, Nick was with Marsh as an Assistant Vice President and was responsible for managing numerous complex clients risk management and employee benefit programs. Prior to Marsh, Nick was with Lockton St. Louis. Nick is involved with the St. Louis Sports Commission, Cardinal Glennon Children’s Hospital and is a supporting member of Association of Corporate Growth, Alliance of Merger & Acquisition Advisors and the Hispanic Chamber of Commerce. He is involved in a variety of charitable boards and activities in St. Louis. Nick received his Bachelor of Business Administration with a concentration in Finance from The George Washington University. 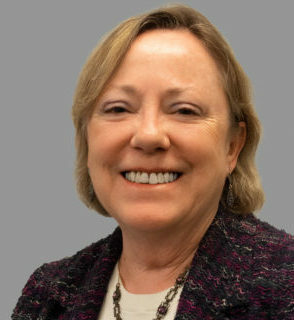 Donna Pankotai is Senior Vice President with Risk Consulting Partners. She has 28+ years in the Property & Casualty insurance industry. Current responsibilities for client service in developing strategy, marketing, and leading global teams for multinational and national accounts in support of Fortune 1000 companies. In addition, she leads RCP marketing strategy and commercial brokerage team. 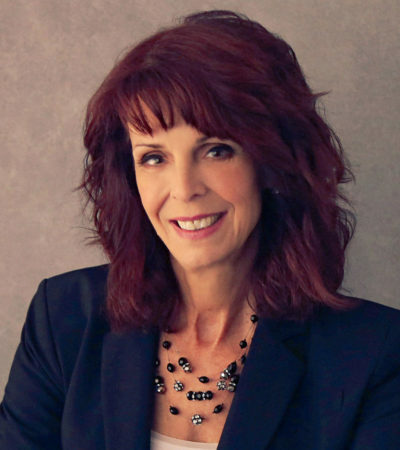 Donna is recognized in the industry for actionable risk planning in complex projects to achieve client critical business development objectives. She is known for her global marketing skills, transition risk successes, product innovation, analytical risk modeling experience, and leadership/talent development initiatives. She attended the University of South Florida with studies in Finance and holds a CIC, CRM, and ARM professional designation. She is also a faculty member for The National Alliance Insurance & Research developing curriculum for multinational best practices. Donna supports American Heart Association including chairing Development Committee and as a Circle of Red member. Paul Schultes spent 22 years with the firms that make up Towers Watson and Aon Hewitt. During that time, Paul held a number of roles. He led a Health and Benefits Practice, helping clients with benefit strategy design and management. 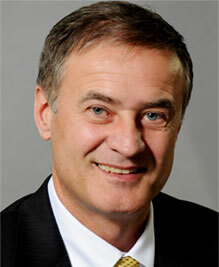 He has assisted clients in design and implementation of benefit administration systems. Paul also held the role of Local Office Leader where he was responsible for providing excellent service across all practice lines for human resource clients in the Midwest. Most recently, Paul has assisted clients with strategy deployment of health care exchanges. He is dedicated to providing objective analysis and offering practical recommendations and guidance in a way that allows our clients to achieve the best possible outcomes for their organization and their employees. Throughout his career, Paul has worked with large organizations both public and private from various industries including: health care, technology, higher education, financial services, manufacturing, retail, food and beverage. Paul has worked with large organizations including: Ascension Health, Boeing, Edward Jones, Emerson Electric, Eastman Chemical and O’Charley’s. Paul graduated from National Louis University, with a Bachelors of Science degree in Business Management. He also holds a Degree in Finance. He has earned his Certified Employee Benefit Specialist designation; is a Fellow of Life Management Institute; and a Health Insurance Associate. 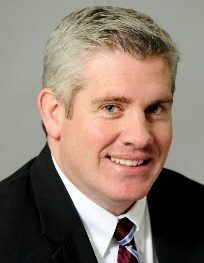 Todd Dillon is serving as the Chief Operating Officer for Risk Consulting Partners and works from our St. Louis office. With over 30 years of industry experience. Mr. Dillon’s time and energy is focused on leading the day to day operations of the firm as well as supporting our Client Service Team in order to provide best in class service to our valued clients. Mr. Dillon is also providing assistance in developing new business opportunities for the firm with particular focus on Private Equity. Prior to joining Risk Consulting Partners, Mr. Dillon was a Senior Account Executive with Aon Risk Services in St. Louis. He spent 22 years with the firm, primarily in client and relationship management. He has significant experience in supporting Private Equity clients and their investments in manufacturing, healthcare, media, glass, steel, copper, coal mining, media, food, inland river transportation, chemicals, oil, marine, agribusiness and nutraceuticals. Prior to joining Aon, he served as the Risk Manager for Zeigler Coal Holding Company in Fairview Heights, Illinois. He also served in a risk management capacity for Consolidated Grain and Barge Company in St. Louis for 12 years after beginning his career with the Ralston Purina Company. Mr. Dillon is active in supporting the National MS Society and has been a significant fundraiser for the St. Louis chapter for the past 15 years. He earned a Bachelor of Arts degree in Economics and a Master’s in Business Administration from the University of Kansas. Alternative asset management firms and its partners rely on their carried interest for a majority of their income and incentives. The illiquidity risks of carry remain a dilemma for both the firms and their partners. In the event of death or disability of a partner, the illiquid nature of carry creates a strategic issue. The family and or beneficiaries of the partner will have an expectation or desire to receive their funds due to their tragic loss. In the event of a disability, the resulting disruption to their normal lifestyle and future earnings potential becomes a serious concern. Contractual obligations, litigation risk and illiquidity dilemmas can cause immediate needs for funds. Many times there could be contractual obligations due to the partnership agreements, current law or simply the desire to assist their families. To avoid any potential litigation from distraught members of the family or the firm and partners wish to simply continue their legacy, a hedge program which can insure these issues is a cost effective way to satisfy any of the above. We bring private equity firms, hedge funds , family offices and alternative asset managers together with insurers, reinsurers and management teams in deploying capital to generate funding for asset managers, tailoring each situation to the needs and goals of our clients. We offer innovative fund raising strategies utilizing insurance strategies that include Variable Annuity Contracts and Credit Wraps. Variable Annuity Contracts (“VAC”) are a type of insurance product that provide investors with investment options offered on an insurance company’s Investment Platform. VAC’s provide Investors the returns and performance of the investments chosen from the Investment Platform. Among other benefits, VACs can deliver tax efficient solutions for Investors, as the Investors are treated as holders of an annuity contract rather than interests in the underlying investments. RCP has exclusive access to a unique group cyber program with a top rated insurer. The private equity sponsor and all of the portfolio companies are included in the program and are able to share limits or have separate limits with one aggregate. Provides protection for all entities with less cost and more coverage.